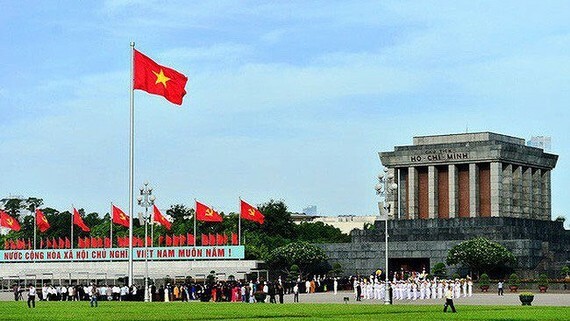 Around 38,625 people, including 1,133 foreigners , paid tribute to late President Ho Chi Minh at Ho Chi Minh Mausoleum in Hanoi on September 1-2, according to the mausoleum’s management board. During national holidays, the President Ho Chi Minh Mausoleum Management Board cooperated with relevant agencies in the Ba Dinh Historical-Cultural Relic Complex and Hanoi’s functioned departments to receive visitors and ensure public safety. Visitors expressed their deep gratitude to President Ho Chi Minh who devoted his whole life to the national liberation cause.